Laura moved to San Diego in 2010 after completing her Masters of Social Work from Virginia Commonwealth University. 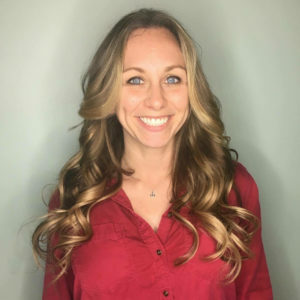 Between 2010 and 2017, Laura worked for various social service agencies including UCSD’s Transitional Case Management Program at Donovan State Prison and Case Management North in Vista, CA. In 2016, Laura decided to combine her passion for helping others with her love of business management and began her Masters of Business Administration at Brandman University. In 2017, Laura moved to Tampa, Florida where she was employed as the Finance Manager for Meals on Wheels of Tampa. Prior to returning to San Diego in 2018, Laura discovered transcenDANCE Youth Arts Project and believed this organization with be a perfect fit for her social work and business management background. Laura will graduate with her MBA in December 2018.